Mol Chemistry gamifies fundamental organic chemistry concepts to make learning more effective and more engaging. From the sheer volume of content, to problems requiring creative thinking and mental gymnastics to visualize complex 3D molecules, no wonder organic chemistry is universally known as a “weed out” class. Many students who struggle with organic chemistry try to memorize facts, but that doesn’t work. Mol is a modern learning experience that takes a fun, interactive approach to understanding fundamental concepts. 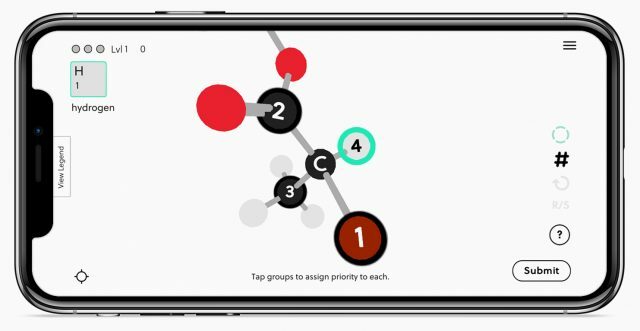 Engaging exercises integrate effective learning strategies into a gamified framework that keeps you progressing toward mastery. Immediate feedback helps you see what you got wrong, and if you get stuck, useful chemistry information is just a click away. Since you can’t improve what you don’t measure, check out your session statistics to see how you’re progressing over time. Beautiful molecular visualizations are available in both 2D and 3D. Help bridge your understanding of molecule structure by switching between representations on the fly. It’s like having a bulky model kit in your pocket! 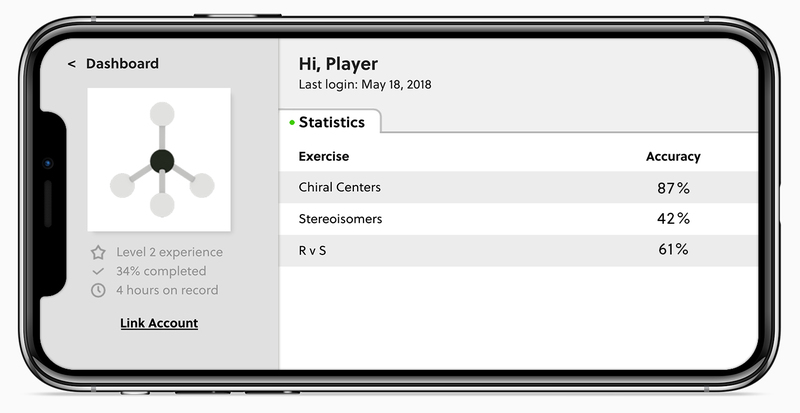 All molecular data is sourced from the National Institutes of Health’s online PubChem database and vetted by trained chemists so you have an authentic and effective experience. 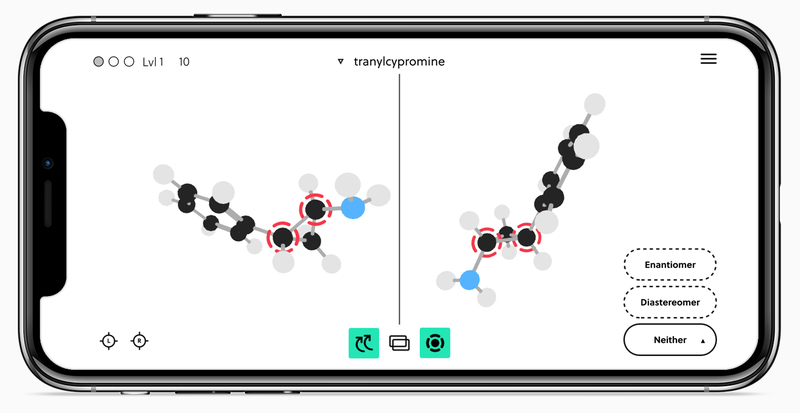 In this NIH Phase I SBIR project we propose to develop and evaluate a proof-of-concept for Mol, a mobile STEM game to address difficult to learn topics in organic chemistry. Our first module will focus on stereochemistry, a notoriously challenging concept facing nearly 2 million undergraduate students each year who are pursuing a healthcare career, and another 1 million biology and chemistry students. Significance: Organic compounds and their interactions constitute the very foundation of life. The relevance of organic chemistry to medical research and practice is profound. About half of medicinally-used pharmaceuticals, toxins, and illicit drugs, require chiral centers for their activity. 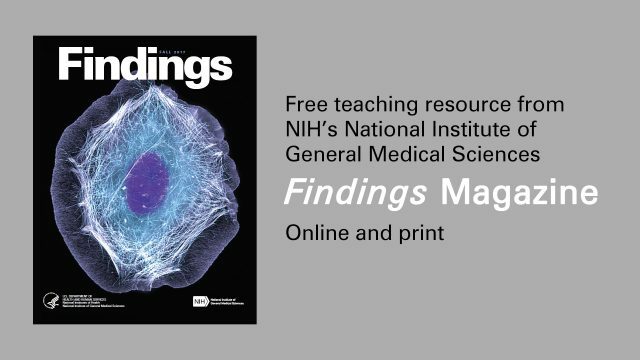 The increasing relevance of organic chemistry to medicine means that the integration of organic chemistry is more and more important in modern health-related education. Interactive media provides a potentially transformative technology for education. The intrinsic appeal and intuitive nature of interactive apps to the millennials and the as-yet-unnamed post-millennial generation makes them a powerful medium for learning, and interactive apps are beginning to take their place in classrooms as a compliment to teacher-based lectures. Innovation: The Mol mobile app would provide a powerful approach to enable student success, learning about the 3D shapes and properties of organic molecules and how these relate to real-life health applications. 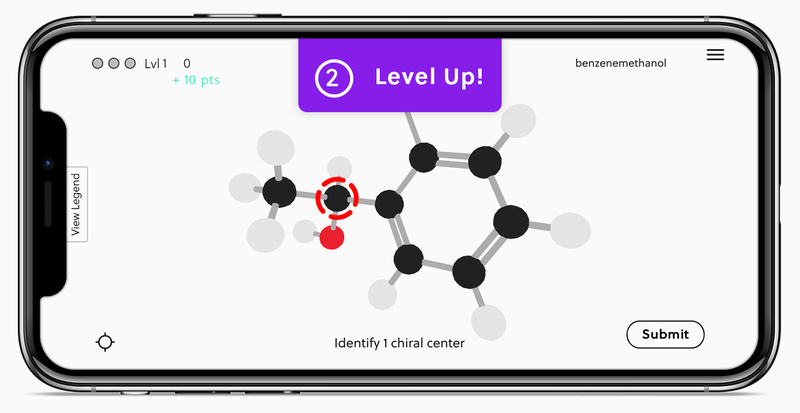 Gameplay mechanics could include spatial puzzles where the player must correctly identify chiral centers on rotating 3D structures, time trials challenging the player’s ability to quickly match the corresponding structure with the nomenclature presented, and a mode promoting the manipulation of 3d models to determine stereoisomerism, and build-your-own stereoisomer. Approach: Our team has extensive knowledge in educational game development, notably with the NIH SEPA-sponsored Meta!Blast. 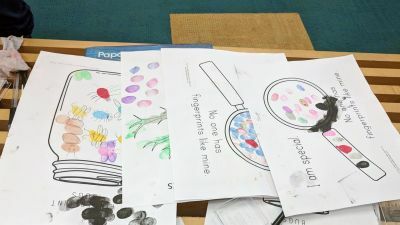 Developed with Unity3D, Meta!Blast is now used in college classrooms and in informal education settings, including being incorporated as a major component of the core Biology Lab at Iowa State University. It’s being evaluated in several biology classroom settings at institutions across the country; one example is at Chaffey College, Rancho Cucamonga, California, a two-year community college with a high proportion of Hispanic students and veterans. We are confident this experience can be extended to the project outlined in this proposal. Each aspect of Mol will be developed with user-input using a rapid iteration approach. Bi-weekly discussions and formative evaluations will ensure the creation of a product that is engaging, fun, relevant, usable, and educational. This will be followed by a larger summative evaluation and data analysis. Commercialization: Through our experience in the rigorous NSF I-Corps program, we believe that following a successful Phase I and Phase II effort, we have the knowledge and support to address the large opportunity in this market segment. A commercially viable app would be distributed to Android and iOS platforms through Google Play and the Apple App Store, respectively. 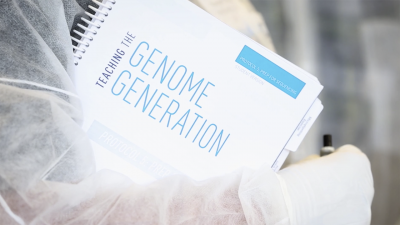 As observed in our customer discovery process, students indicated a significant factor in their adoption of new learning materials would be from a recommendation or requirement by their instructor. As such, a key element in our marketing strategy is to cultivate relationships with chemistry instructors and view them as demand creation partners. Public Health Relevance: Organic compounds and their interactions constitute the very foundation of life. 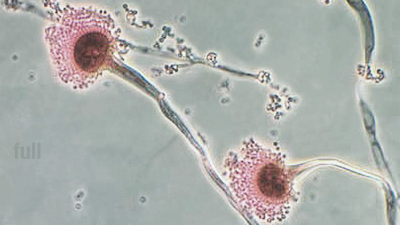 Driven by new technologies of analytical chemistry and nanobiology, organic chemistry now provides the basis for the fields of toxicology, pharmacodynamics (the effect a drug has on the body), pharmacokinetics (how the body metabolizes a drug), and rational drug design (using understanding of a biological target to design new drugs). Our proposed STEM game aims to address the challenges undergraduate students face when learning organic concepts. 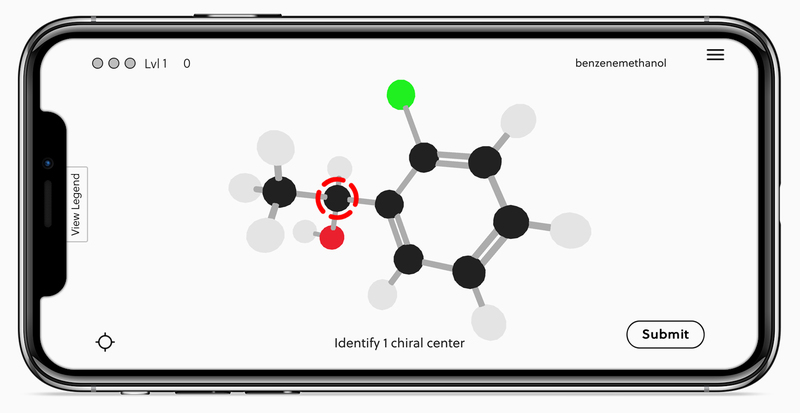 Mol Chemistry is available from the App Store and Google Play. We’re making a commitment to continuously add value to Mol Chemistry. Using a publicly available roadmap we’re opening up our develop process so you can see what we’re doing now and in the near future. Our long-term goal is to be a comprehensive resource for learning all organic chemistry concepts. We plan to release larger feature updates in conjunction with the academic calendar, and smaller updates to fix bugs and make minor improvements.